My first cactus sighting happened when I was 24-years-old. I’d just moved to Colorado from the Pacific Northwest with my then boyfriend, now husband, Ryan. We were hiking in Roxborough State Park, and I became obsessed with these tiny cactus plants growing next to the trail. Much to Ryan’s amusement, each time I spotted one my enthusiasm increased. 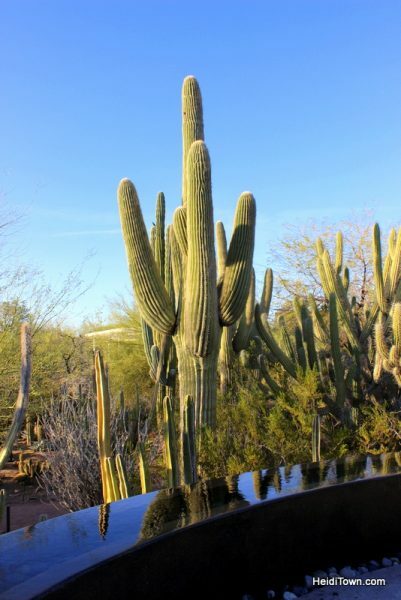 You can imagine my excitement when I visited the Desert Botanical Garden in Phoenix, Arizona this past January. I was in town to visit my parents, who recently retired to the Phoenix area. I was also planning to attend Corks & Cactus while I was in town, an annual wine festival held in the garden. Buy Tickets to Corks & Cactus on February 9 and 10, 2019. 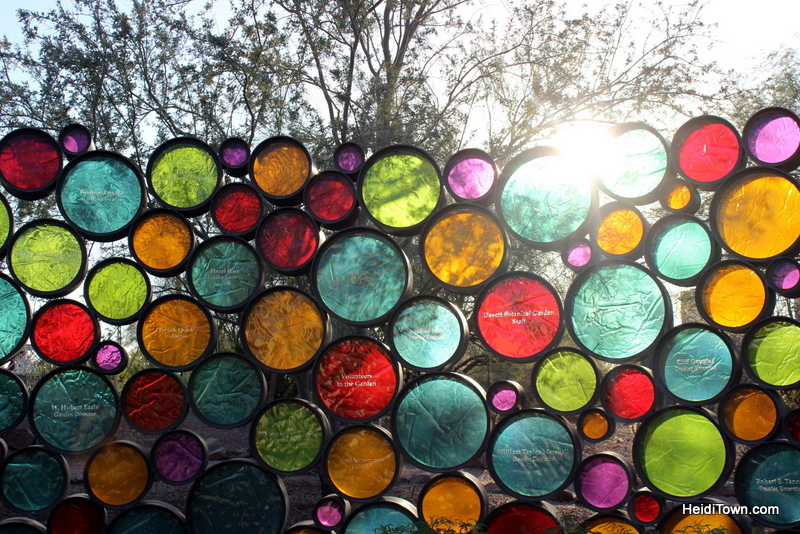 Corks & Cactus, a wine festival held annually in the winter at Desert Botanical Garden. Please note that ticket sell-out fast! 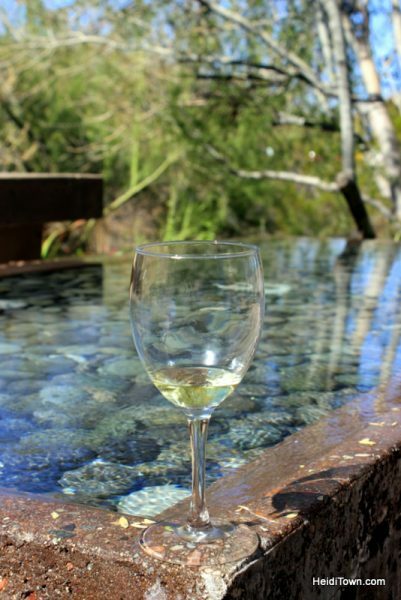 The two-day festival features 40 different wineries each day, live music and live cooking demonstrations. It’s absolutely worth a weekend trip to Phoenix. My parents and I had a great time tasting, sipping and relaxing in 75-degree weather. 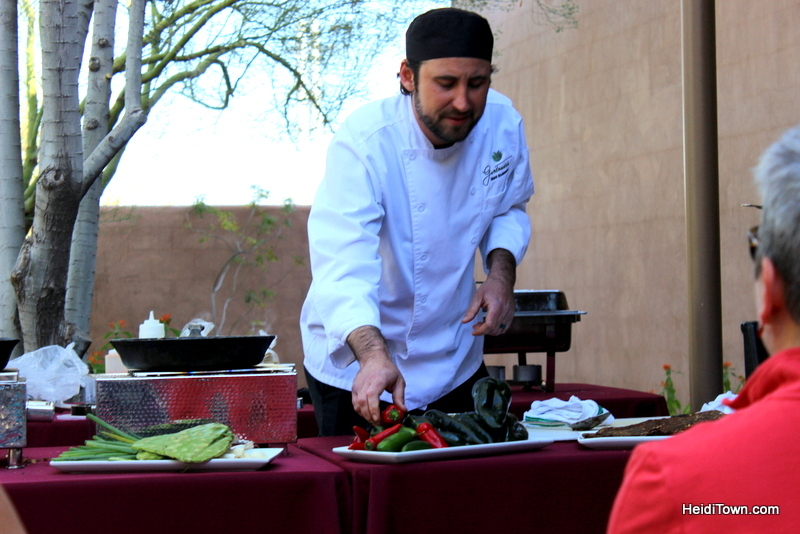 Executive Chef Matt Taylor of Gertrude’s Restaurant, located at the garden, demonstrates unique tacos featuring prickly pear cactus. After enjoying the festival, I meandered through the garden, camera in hand. 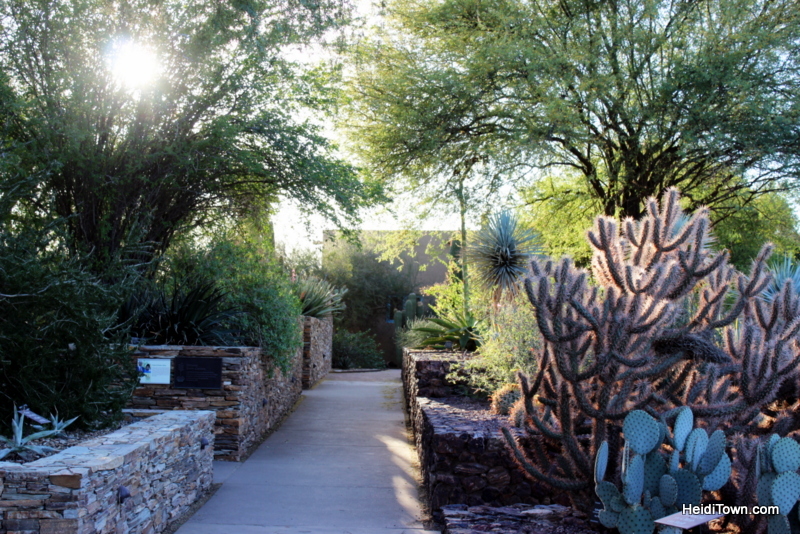 There are more than 50,000 desert plants on display throughout five thematic trails here. I didn’t make it down all of the trails which gives me a reason to go back. To a girl who grew up in the Pacific Northwest, the Desert Botanical Garden is like being on another planet. Walking among the giant cacti here is truly awe-inspiring. It was getting near dusk during my walk about the garden, which is a beautiful time to tour. 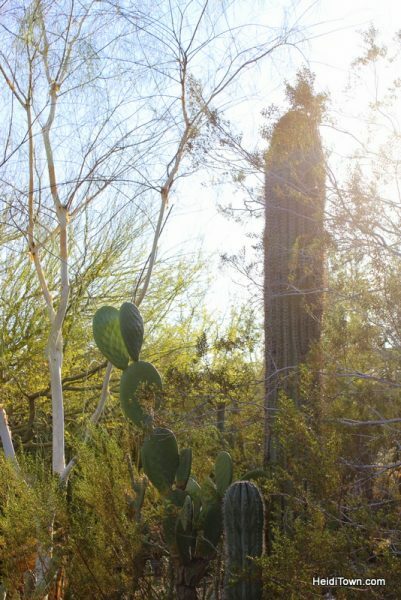 As the sun filtered between the cactus and shines off of the individual spines, the place fills with magic. As I walked, the shadows grew longer and the birds called to one another as they flitted between the tops of cactus. I found the water features in the garden quite fascinating. Art plays a large part at the Desert Botanical Garden and there were works of several artists on display during my visit. You can see Dr. John P. Schaefer’s photographic works of plants and flowers on display through May 20, 2018, at the Ottosen Gallery and Jun Kaneko sculptures throughout the gardens through May 13. Don’t miss Electric Desert, coming to the garden this October. This nighttime event is going to be surreal. See a list of current 2019 exhibits here. 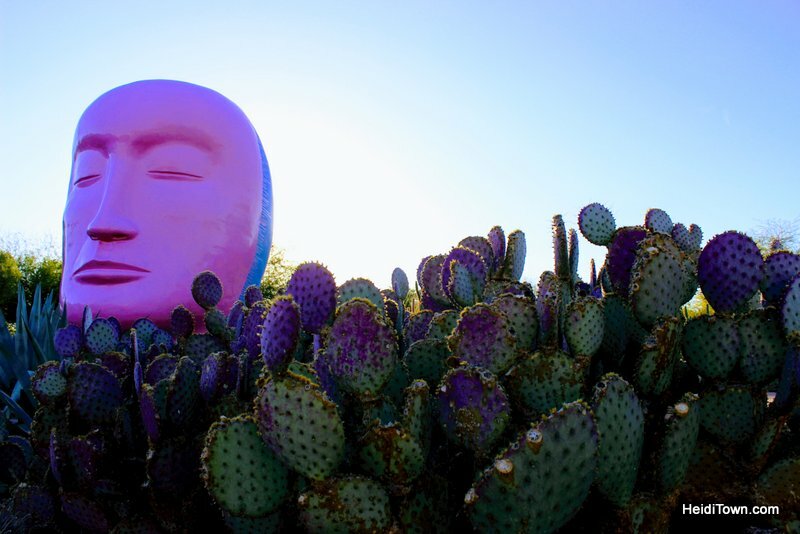 Jun Kaneko sculpture at Desert Botanical Garden through May 13, 2018. Cactus flowers typically bloom March through April, so now it is the perfect time to visit Arizona’s Desert Botanical Garden. So why am I writing about Arizona here on HeidiTown.com? When my parents moved from Oregon to Arizona this past fall, I discovered that flights between Denver and Phoenix are downright cheap (sometimes under $100 roundtrip). After my first visit to see my parents in their new surroundings, I made the executive decision to bring Arizona into the HeidiTown fold. 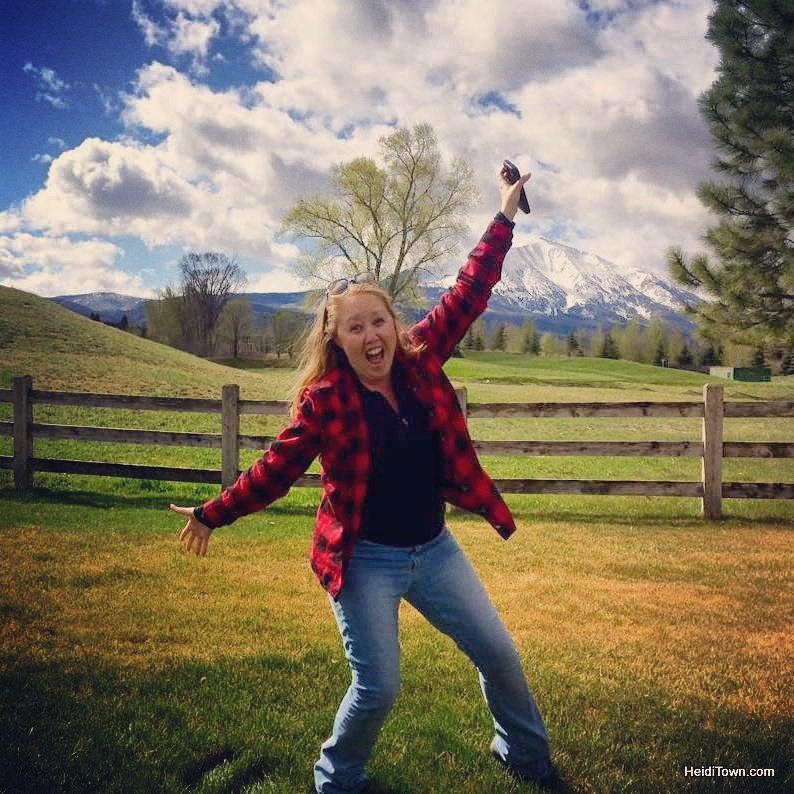 It’s like adding a new planet to town—it’s so very, very different from the Rocky Mountain Region—and I’m excited to explore it and share it with you. 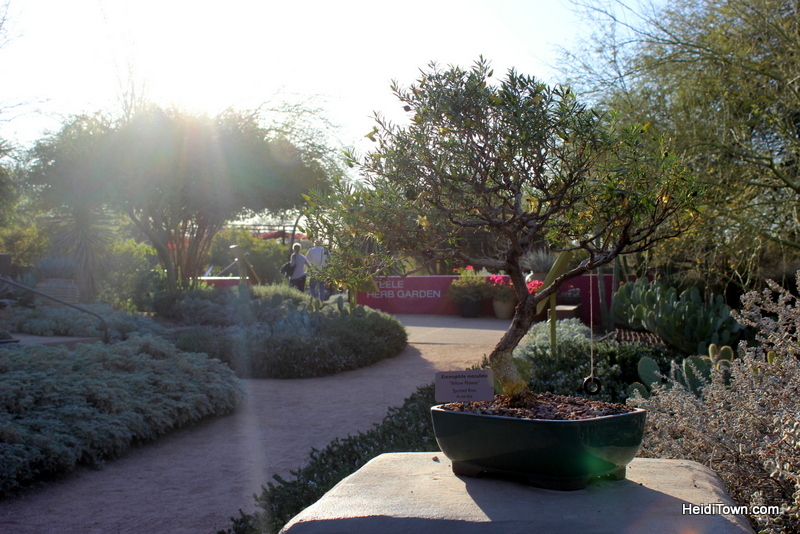 Thank you to the Desert Botanical Garden for hosting me for Corks & Cactus. Why are some called botanical gardens and some are botanic gardens? Always wondered. ME TOO!!! It’s so weird. Glad I’m not the only one who has this question. Heidi! This is so awesome! Thanks for sharing. I’ve wanted to visit these Botanical Gardens ever since I attended a wedding in Scottsdale years ago. And a weekend that fills the place up with wine just makes me want to visit more!